Leica DM2000 with its sophisticated focus mechanism and high performance fluorescence has been developed for more complex tasks in pathology, cytology labs as well as in research applications. 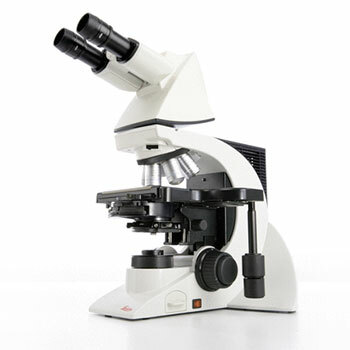 As a system microscope it is well suited not only for clinical microscopy, but for research microscopy applications as well. It gives the customer a Basic Research Stand without having to pay the price of a 100 watt microscope for applications when 100 Watts is not necessary. Of course, the ergonomics and optical performance are also optimized.